ISID is a software company specialized in the development of Content Management Systems. Some of its products feature innovative Digital Asset Management (DAM) and Media Broadcast Monitoring software. The company’s main goal is to provide efficient solutions, tailored to the specific needs of its clients. Always nurturing great importance to the adaptability of its products in order to reach maximum performance levels. 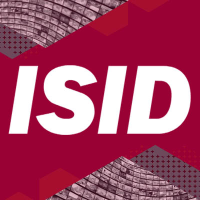 ISID applications are being used by Governments, Education Institutions and Television Broadcasters, as well as clients within the Defense and Healthcare industries.